'It's this terrible grape that doesn't make good wine." That's the standard rap on Mission, a California heritage grape that was grown here for many decades before Zinfandel showed up to claim that title. 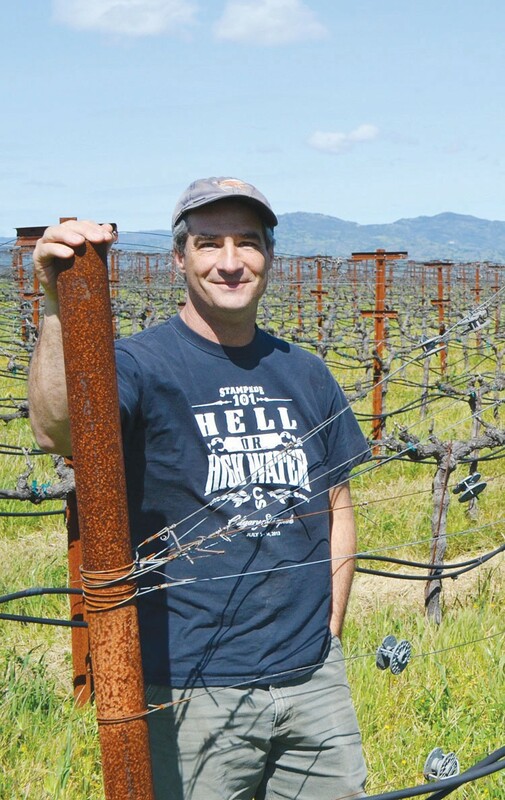 And there's something about the standard rap that bothers Napa grape grower Mike Hendry. "Everybody will tell you it's terrible," says Hendry (pictured), "but no one has tasted it." Spanish friars brought Mission to the New World in the early 16th century. Since making wine and hooch was a top priority in the mission system—right up there with subjugating the natives—they brought the grape to California in 1778. It was the dominant wine grape for nearly a century. "If you start to think about it," muses Hendry, "it was basically the only grape for 300 years. Why stick with it, if it made such terrible wine?" While Mission was probably planted on his family's ranch around 1859 (a newspaper clipping from the era mentions that the vineyard also contained "foreign" varieties, meaning the French grapes we take for granted in Napa today), this is not a story of carefully preserved, gnarled old centenarian vines: the viticultural villain phylloxera destroyed the original 200-acre vineyard, and only six acres of replanted grapes remained when Hendry's grandfather bought the property in 1939. When Hendry happened upon a varietal Mission wine from Guadalupe Valley, Mexico, he thought it was pretty OK. For an experiment, he chose 20 buds each of four Mission clones that Foundation Plant Services at UC Davis maintains in its collection. The hard part was convincing his Uncle George, who began replanting the vineyard in the 1970s (and still leads tours of the winery and vineyards), to bud over four rows of his Napa Valley Cabernet Franc—which sells for top dollar—to the now-obscure and maligned Mission. One of the clones performed best, with lower yields than typical—indeed, a vine that threw a crop of biblical proportions was likely a top draw for the friars. "It's like a nice Gamay," Hendry says of the wine it makes. "I think everyone in the wine business at least ought to taste it." Sampled from the only barrel of Mission wine in Napa, the 2016 shows a pinch of allspice and light fruit like raspberry herbal tea, with leather notes. It's alluring, not Beaujolais Nouveau-blatant, and makes for a fine conversation-starting aperitif. The major production at Hendry is Zinfandel, the usurper—and the 2013 Blocks 7 & 22 Zinfandel ($35), with its enticing boysenberry wine flavors and plush texture, just might answer the reason why. Hendry Wines, 3104 Redwood Road, Napa. Tours and tastings by appointment only, $30–$75. 707.226.8320.